Metal roofing has been around since the mid-19th century. Homeowners back then preferred this material because it is lightweight and easy to install. Today, this roofing material is still one of the most popular options for homes and commercial properties alike. At Rogers Roofing, we are proud to offer quality metal roofs from Gerard®. Gerard stone-coated metal roofing in Evergreen Park, IL, is a significant investment that adds value to your home. This type of metal roof has a Class IV impact rating and Class A fire rating. It can also stand strong against winds up to 120 mph. This metal roof can withstand any weather condition because of its rugged 26-gauge steel construction and unique interlocking panel design. Gerard roofs also help you save energy by allowing air to pass between the roof deck and panels. This results in reduced heat gain and consistent roof temperatures in any season. A Gerard roof is also eco-friendly, as you can have it recycled as it reaches the end of its life span. You can also choose from a wide range of colors for your Hammond roofing. Gerard comes in 18 standard colors, three of which carry the ENERGY STAR® seal. Some of your options include charcoal, terracotta, timberwood, English suede, and Spanish red. Barrel Vault – This type of metal roof mimics traditional clay or concrete tile. Barrel Vault roofs maintain their looks for years without requiring too much maintenance. Classic Tile – This ensures long-lasting performance no matter the season. Canyon Shake – With this metal roof, you won’t have to worry about maintenance costs. Granite Ridge – This high-end, asphalt shingle-looking Gerard roof offers durability and beauty in one. For quality metal roofs that protect and beautify your home, trust Rogers Roofing. We are certified and skilled to install new Gerard roofs on your home. We can also help upgrade your siding and windows in Hammond, IN. 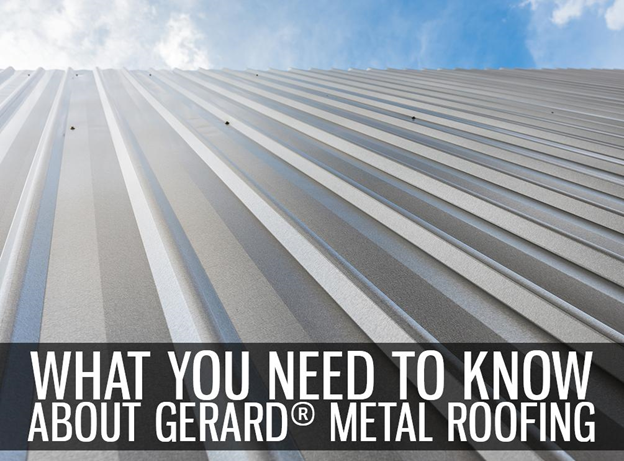 For more information about Gerard metal roofs, give us a call today. If you live around Indiana, you can call us at (219) 228-8210. Illinois homeowners can reach us at (773) 492-2270. You can also request for a free quote by filling out our contact form.